Browse our repertoire of fitness puzzles posted below. 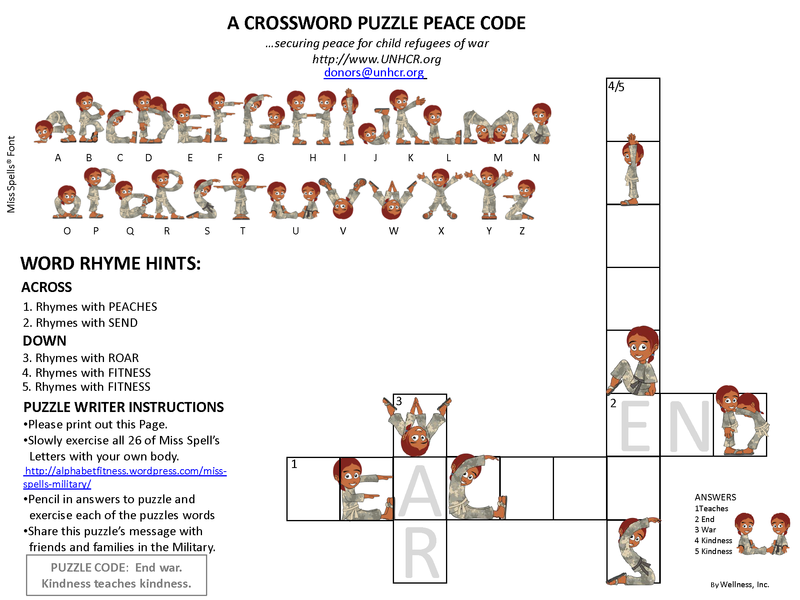 a fitness puzzle code format for you to exercise! 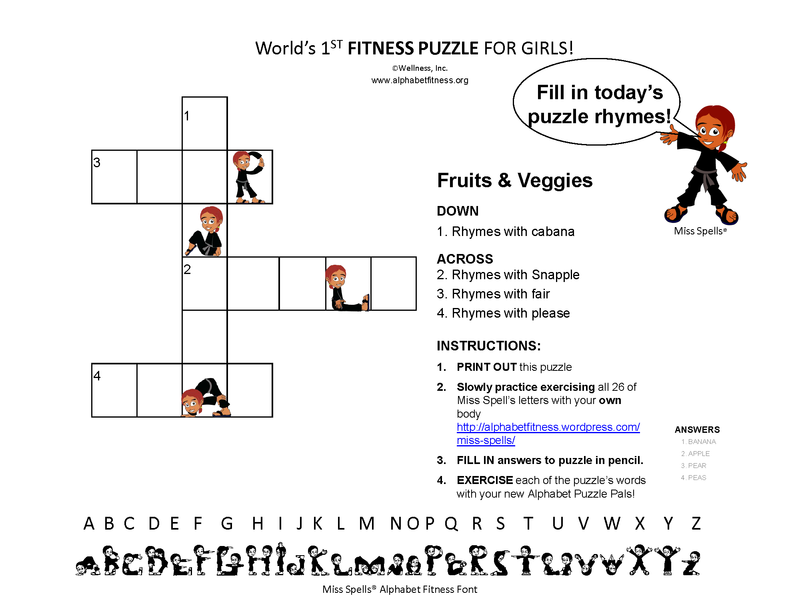 World’s 1st FITNESS PUZZLE for CONGO GIRLS! *For a larger version and Malaika’s website link please click here. *For a larger version and UNHCR Refugee link please click here. *For a larger version and Gallaudet U. links please click here. World’s 1ST FITNESS PUZZLE for YEZIDI GIRLS! *For a larger version and Yezidi website links please click here. *For a larger version and Doctors Without Border’s website link please click here. *For a larger version and Dana Farber Jimmy Fund link please click here. *For a larger version please click here for downloadable PDF. An ALPHABET FITNESS PUZZLE™ SHAPE UP CHALLENGE! An Alphabet Fitness® Puzzle for Kids – Akiddo font! 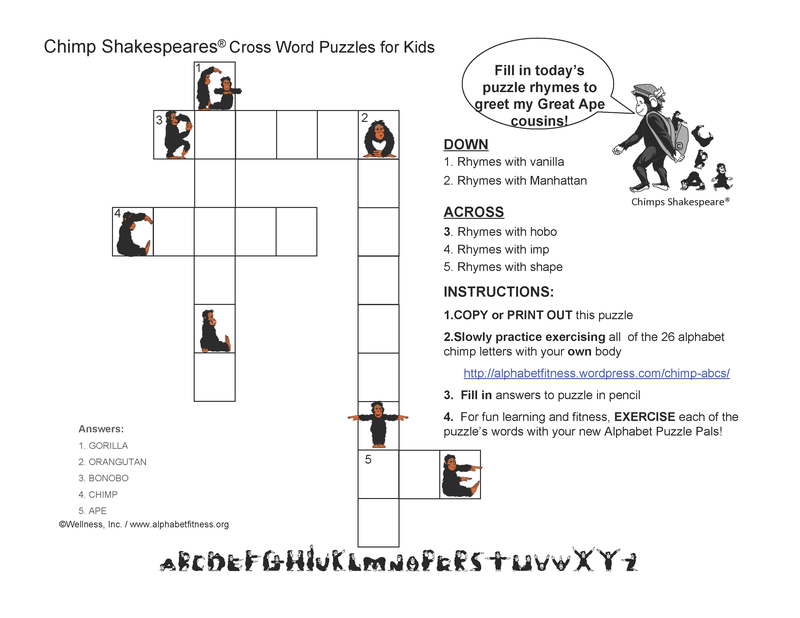 Chimp Shakespeare’s® Great Ape Cousins puzzle!